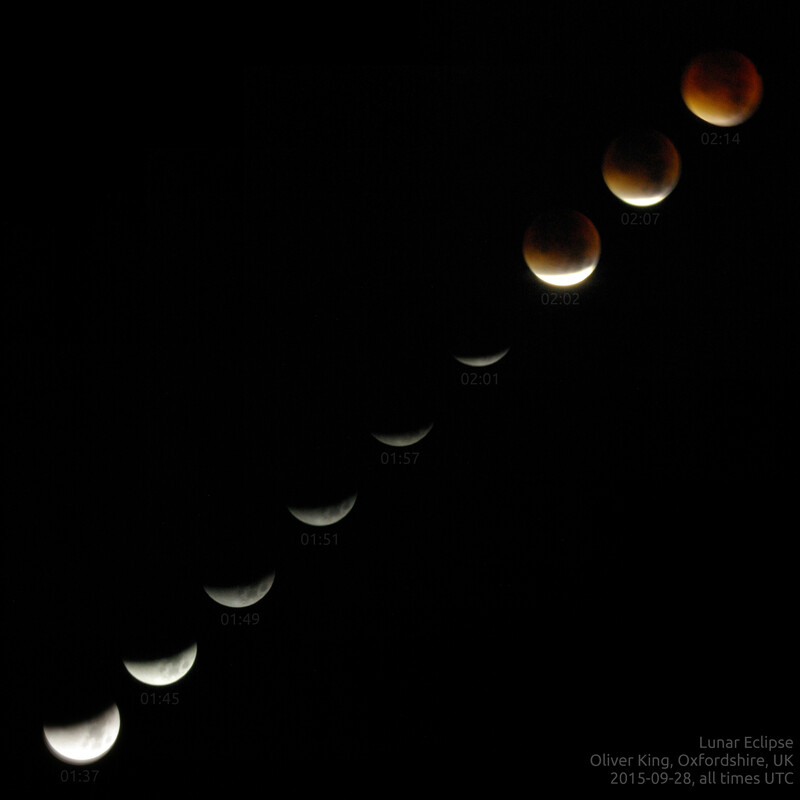 These images are of the total lunar eclipse on the morning of 29th September. The first image shows the moon at different points during the start of the eclipse, as the earth’s shadow moved across the face of the moon. The sequence ends as the moon completely enters the earth’s shadow, becoming red due to the refraction of the earth’s atmosphere. 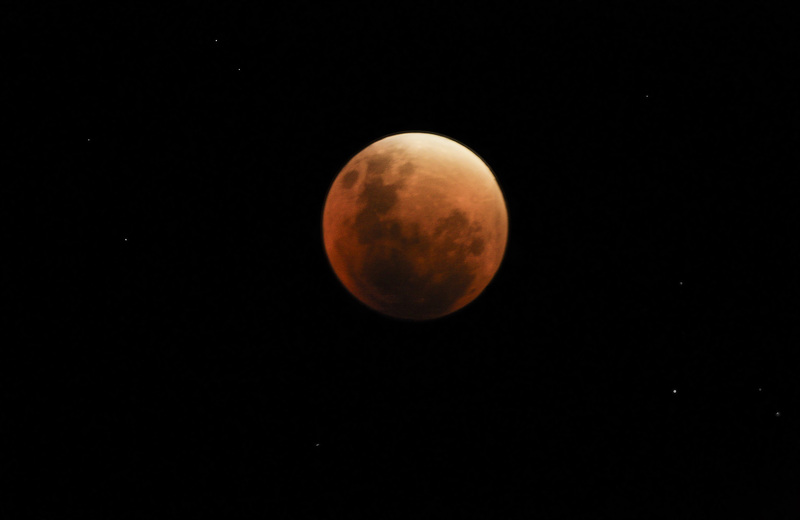 The second image is a higher resolution photo of the moon during the eclipse, taken by HCO member Matt Armitage. This image clearly shows the red colour of the moon during the eclipse, as well as the surface of the moon.